Across the globe consumers are increasingly realising their power. In many countries this consumer consciousness, which marries consumer rights to sustainability issues, has been greatly helped by dynamic consumer protection policies. In Africa, the rise of the middle class is fuelling a consumer economy and countries have begun to beef up their consumer protection policies. But they tend to be disconnected from sustainability issues. South Africa, which leads the continent in terms of consumer protection regulations, showcases this limitation. The country has a good consumer protection policy regime, benefiting consumers and providing them with rights and redress possibilities. But it’s not linked to sustainability concerns. The South African situation is not helped by the location of consumer affairs and sustainability in two separate government departments. Consumer protection policy is the responsibility of the Department of Trade and Industry. For its part, sustainability is primarily located in the Department of Environmental Affairs. As a result there’s a disconnect between the two. South Africa – and other African countries suffering from this disconnection – need to develop a new framework. Our study identifies key areas countries should focus on to get to an integrated approach. In recent years many countries have amended their consumer protection laws to connect them more closely with sustainability concerns. We looked at a number of international experiences to identify key aspects that could make up a comprehensive consumer protection framework. Brazil provided helpful insights. It established the National Consumer Bureau in 2012. It was designed to plan, prepare, coordinate and implement the country’s national policy on consumer affairs. Brazil’s system runs on a model that actively pursues an integrated approach to consumer protection and sustainability. It connects a number of government departments to work together. Departments and agencies in sectors like tourism, health, transport, aviation, municipalities. Together with business representatives they cooperate to ensure consumers rights. Chile has implemented a national initiative titled education for sustainable consumption. It was designed to provide consumers with information about the environmental and social impact of their daily choices. The underlying policy premise is encouraging responsible consumption. In Europe, Germany aligned its consumer protection law with European Union consumer rights directive. The emphasis is on giving consumers balanced and independent information so that they can make comparative choices. 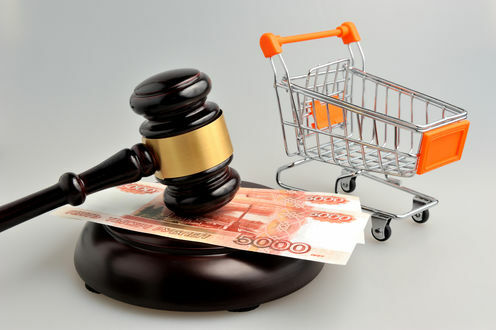 China unveiled new consumer protection laws in 2014. Critical changes included raising penalties for false advertising, including false statements about human health or safety. But the law is silent on measures retailers must take to ensure the accuracy of product information. While many countries are incorporating some elements of sustainability into their consumer protection legislation, it isn’t happening fast enough on the African continent. Our study showed that consumer protection policies in many African countries tend to be narrow. This is partly dictated by economic conditions. In poorer countries the basic needs of consumers are given precedence over sustainability considerations. In addition, poverty limits consumer choices. Products that are produced in a way that doesn’t damage the environment tend to be more expensive. Ideally, there should be a mix of policy instruments to enable consumers to make more sustainable consumption choices. These must touch on product safety regulations, product information provision and consumer information standards. South Africa’s Consumer Protection Act has gone some way to closing the gap. The act provides for industries to voluntarily implement minimum sustainability compliance requirements. In addition, the government has powers to prescribe minimum industry sector standards. But little has been done to put in place mechanisms to enforce these provisions. This also limits the insertion of sustainability goals into consumer protection policy. and setting down minimum requirements for self-regulation. Because sustainability straddles multiple policy domains, there needs to be joined-up implementation across government. Consumer education and stakeholder engagement are important because individual’s choices and behaviour also have an impact. Sectoral self regulation is an immediate starting point. To trigger this, the business community should review business processes. They must find ways to integrate sustainability and consumer protection. Debates among policymakers in regional bodies such as the African Union can play an important role. The advances that have been made in the EU provide a good example. But these debates must be underpinned by the knowledge that poverty limits consumer choices. Basic needs of poor consumers need to be protected. South Africa has made a head start and can lead the way. Miemie Struwig and Sibongile Muthwa do not work for, consult, own shares in or receive funding from any company or organisation that would benefit from this article, and has disclosed no relevant affiliations beyond the academic appointment above.